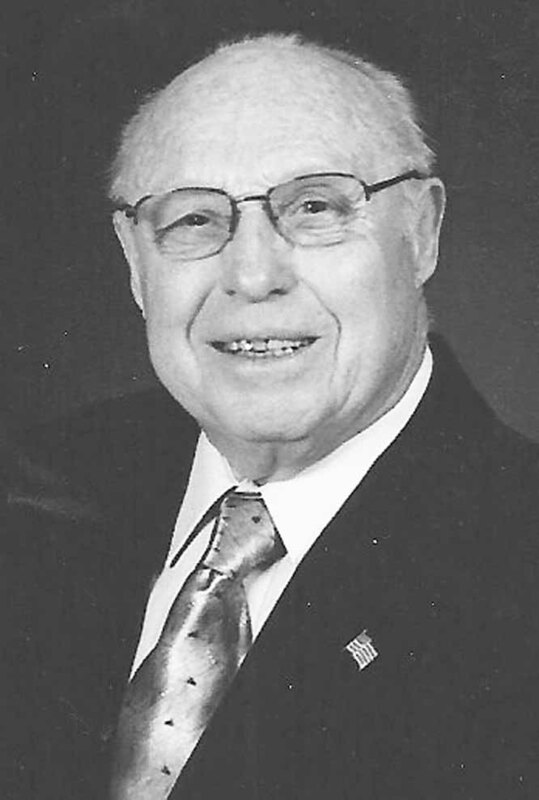 David Arthur Williams on Tuesday, February 6th, at age 94, David passed away peacefully with the love of his life at his side in Puyallup, Washington. David, better known to his friends as Dave, was born October 4th, 1923 to Arthur and Dorothy Williams in Seattle, Washington. Dave spent the majority of his childhood in Eatonville, Washington, where he graduated from Eatonville High School in 1941. He later settled in this same town, where he would raise his own family. Soon after graduation, Dave was drafted into the Navy where he proudly served his country during World War II and the Korean War. A telephone man and electrician by trade, Dave worked for Pacific Northwest Bell and Mashell Telephone Company, and co-owned C&W Electric before retiring at the age of 73. Dave also dedicated much of his time serving various organizations as well as his community as a Sound Credit Union board member, an Eatonville Town Council member, the Eatonville Lions Club president, and a partner at Barney’s Corner Mini-Mart. Dave was a world traveler who loved to share stories of his many adventures; his favorite always being of his time spent in Thailand. He loved his morning coffee with friends, and his time spent with family. He is survived by JoAnne, his loving wife of 67 years; brother John, sister Marion; children Diane, Michael (Monica), and John (Vicki); 9 grandchildren and 13 great-grandchildren. Dave was a loving and caring man who will be missed by all who know him. A memorial will be held on April 21st, 2018 at 11 a.m. Reception to follow at Holy Disciples Catholic Church, 10425 187th Street East, Puyallup, Washington 98374. Graveside service at 2:00 p.m. is open to all, at Fir Lane Memorial, 924 176th Street East, Spanaway, Washington 98387.